Jul – Aug 2011, Manly Art Gallery and Museum, NSW. In June/July of 2010 I participated in a workshop organised by Basil Hall at the Skopelos Foundation for the Arts, on the island of Skopelos in Greece. Here, I walked on dirt roads, climbing upwards on mountains moving away from the sea, and unexpectedly discovered a group of old monasteries. The etching Enclosure is a response to this encounter: in particular the interior of a deserted chapel in an overgrown garden enclosed by a decaying wall, and silence. 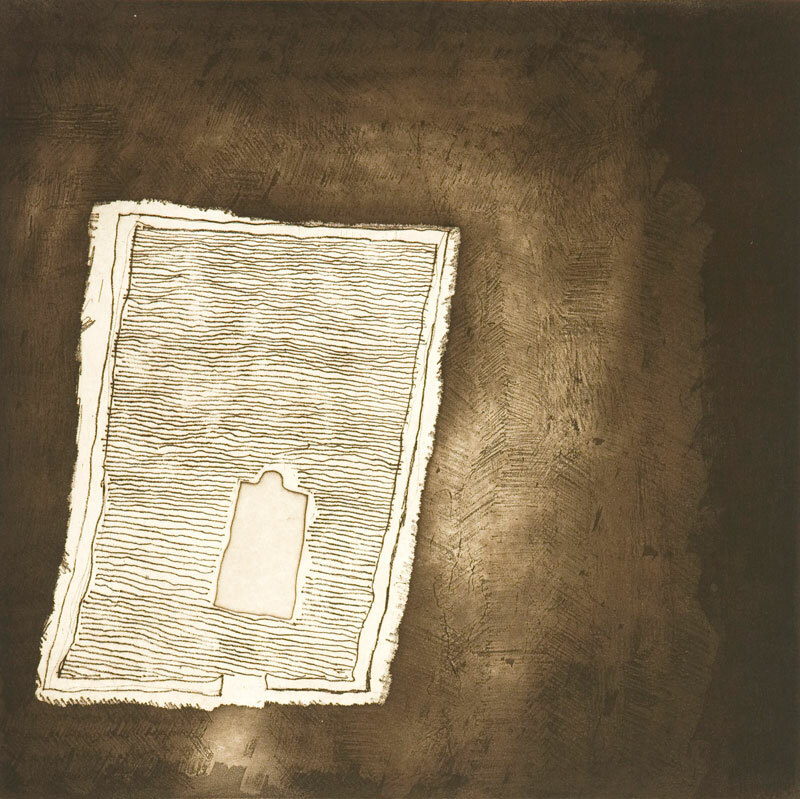 Enclosure, etching, 50x50cm, artist proof, 2010.